The 15th Annual PVC Awards Banquet was held on Thursday, May 31st, 2012. The evening is an important event that helps celebrate the culmination of the student-athlete experience at Princeton and during which we will celebrate the athletic, academic, and civic accomplishments of not only our exceptional senior student-athletes but also distinguished alumni and Friends of Princeton Athletics. The banquet is an extraordinary event that joins together the entire Princeton athletics family – past and present – to celebrate each other’s accomplishments. From the awards presentations to the student speeches to the pre-dinner reception, the evening always leaves a lasting impact on all of the students, parents, alumni, and Friends in attendance. 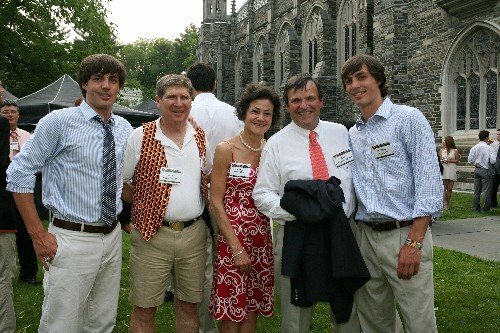 In addition, for many in the Class of 2012, the banquet will be their first introduction to the vast network of alumni and Friends – representing all Princeton sports – who are joined together by the Princeton Varsity Club. To view past award winners, click here. To view recaps of past PVC Awards Banquets, click here.